I am a real ‘beauty girl’, I love being pampered (but honestly, who doesn’t?) – my best is when I’m getting a facial. I don’t like it when someone touches my face (whether I’m wearing makeup or not, it doesn’t make a difference) but it’s a whole other story when someone touches my face in ‘that’ way….the facial-giving-way. When we were at Karkloof Spa earlier this year, I was busy getting a facial and I thought to myself: “I could die right now, and I’d be ok with that…” Weird thought to have running through your mind while you’re in your happy place, I know, but the message behind it is that a beauty treatment (whether it’s a facial, massage, body wrap) is my heaven on earth. So, when Meridian Spa invited me for a half-day spa day, they honestly didn’t have to ask me twice. I was all over it like Jaws on a group of swimming children. 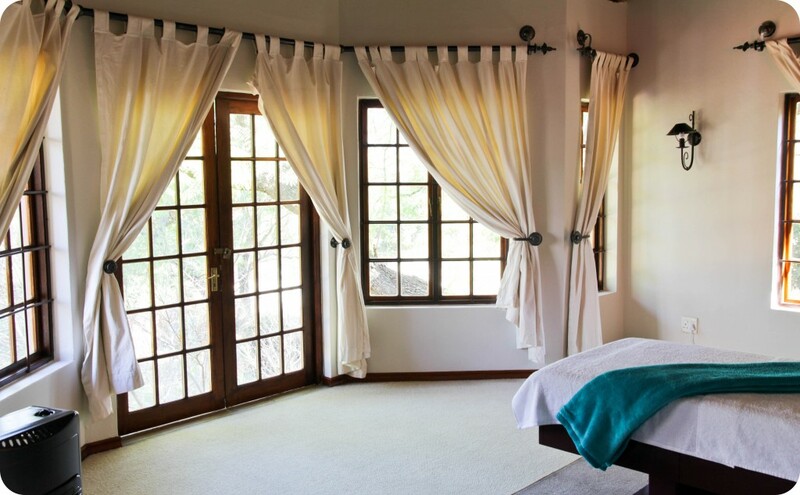 Meridian Spa is situated in the heart of beautiful Bryanston, with surrounding trees as far as the eye can see. It truly feels like you are visiting a secluded spa somewhere in the mountains – the noise levels are surprisingly low, plus there is a huge garden that surrounds the spa. One would never guess that Meridian Spa opened only 2 months ago because it is managed so well. Upon arrival at the spa, I was greeted with a very warm welcome by both the Spa Manager (Yolandi) and the Spa Owner (Samantha). I was offered a warm compress infused with rose essential oil – it’s the small things that count! Samantha and I chatted for a while and the one thing that really stood out to me, was her passion for this spa. She is so proud of what she had created – and with good reason! Meridian Spa specialises in spa days (at both corporate level or individual level); skin, body and nail treatments; anti- ageing peels, acne scarring treatments and non-surgical, pain-free face lifting treatments. Sought after aesthetic brands, as well as vegan and organic certified products are used in the spa as part of their treatments, plus you are also able to purchase brands such as Dermalogica, Spalicious, Esse, Lamelle and Biominceur. How fabulous are the accent pillows below? After Yolandi took me on a tour of the spa, I was offered the most amazing cup of organic coffee and was asked to fill in a client card. The half-day spa included a Dew Drop Bath, this is a relaxing bath experience whereby you are able to choose from a selection of SpaRitual bath salts. I chose the ‘Close Your Eyes’ bath salts (it contains Geranium essential oil), to ease stress and tension. Yolandi took me to the room where I would have my facial (it’s their largest therapy room), and the view from the windows is absolutely stunning as it looks out on the gardens. The room was heated (they have heaters in all the rooms during Winter), plus they also have electric blankets on their massage beds – which I thought was a very nice touch! For what felt like the next 2 hours, I had the most incredible facial. We started with a Skin Mapping consultation where Yolandi had a look at my skin and then commented on the current state of my skin and what she would recommend I try to improve on. My makeup was removed using Dermalogica Precleanse (a firm favourite of mine) and she then followed that up with the Dermalogica AGE Smart Skin Resurfacing Cleanser. My skin was exfoliated using the Dermalogica Multivitamin Power Exfoliant. Then came my absolute favourite part of all Dermalogica facials…the steam session. The face is steamed with the Dermalogica Scaling Fluid and their Calming Botanical Mixer to prep the skin for extractions. After Yolandi did a couple of extractions, she applied Post Extraction Fluid to calm the skin. A facial mask was then applied (Dermalogica Multivitamin Mask) and while the mask was on, she gave me the most relaxing neck & shoulder massage with Dermalogica Massage Cream. After about 10 – 15 minutes, my face mask was removed using warm compresses. Yolandi then used their High Frequency machine on various areas of my face, which is antibacterial and healing. My skin was then moisturised using the Bio Therapeutic Restyfluid for maximised plumping. I then received a non-surgical face lift using the Bio-Ultimate Platinum. A non-surgical facelift is a unique treatment using different combinations of micro current. The result is immediate firming & lifting of sagging muscles, enhances skin tone, smoothes & refines lines & wrinkles, reduces puffiness, activates lymph drainage & improves circulation. I was really impressed with the results, as Yolandi first only did the one side of my face so that I could see the results. I’m not even joking when I say, the side that wasn’t treated with the micro-currents, was saggy (almost like I had had a tiny stroke on that side of my face). Yolandi then finished up with the other side of my face and applied the Dermalogica Dynamic Skin Recovery moisturiser. I then had my Dew Drop Bath, which was wonderfully relaxing. After my bath, I climbed back onto the heated massage bed and Yolandi gave me a calming aromatherapy massage using almond- and geranium oils. When I think back on how much I enjoyed the whole experience, I definitely want to go back there and do this again! I had a delicious light lunch, plus a glass of champagne and was then taken downstairs to the mani-pedi area. I was able to choose which Spalicious scrub I wanted them to use for my pedicure and I chose Grapefruit & Thyme – what an invigorating scent! I also chose a beautiful coral-pink shade from their SpaRitual nail polishes. I loved how detail-conscious the lady was who gave me the pedicure, it’s not really something you see that often especially when it comes to pedicures. I was very sad to leave Meridian Spa on that wonderful Thursday, because I had gone from being super stressed, to feeling calm and restored. Since my visit, I have mentioned to friends and family that Meridian Spa has become my home away from home. The reason why I say this is because they make you feel like you are a member of their family, almost like ‘the prodigal son’ (or daughter in this case) – they will do anything and everything to make you feel relaxed & rejuvinated. I would like to thank both Samantha and Yolandi for inviting me to visit their spa, it’s really an experience I won’t forget anytime soon. They also gifted me with a Spalicious Mandarin & Sandalwood Self-Heating Sugar Scrub to take home, which I have not used as yet (I have come to a point in my life, where I have to finish a certain product first before I can open a new one). I am looking forward to using the scrub, especially since it’s a self-heating scrub. Ok, guys…on with the giveaway details! There are 2 prizes up for grabs – 1 for a Gauteng-based Pink Peonies blog reader AND 1 for a blog reader who is situated anywhere else in South Africa. 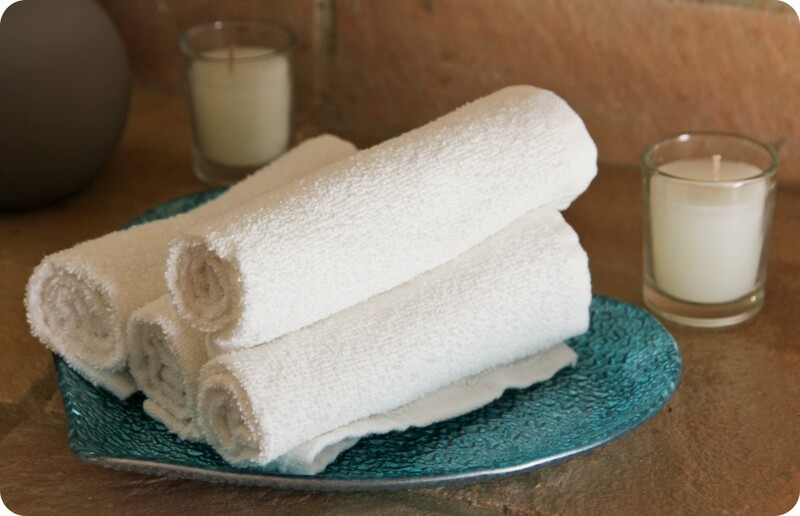 ♥ Welcome drink & warm aroma infused towel upon arrival. ♥ Dew Drop Bath Ritual. ♥ Customised & Specialised Facial. ♥ Swedish Full Body Massage. ♥ Relaxation Lounge & Organic Coffee, Tea & Rusks. ♥ Refreshments & Amarula chocolates upon departure. Gosh, I’m actually salivating just thinking about the prize (and it’s not because of the chocolates)! The other prize for my rest-of-SA-based readers is a Dermalogica Body Therapy Skin Kit to the value of R 700,00! 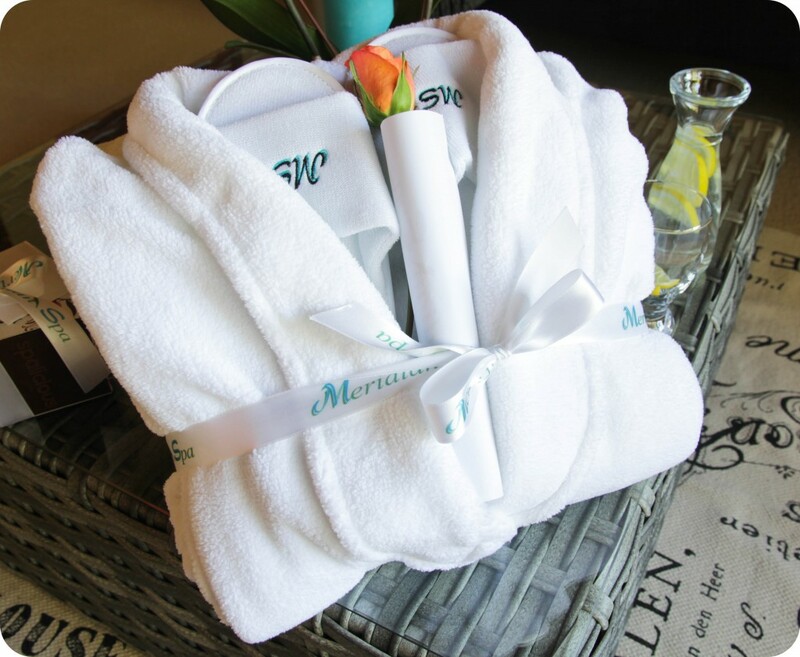 ♥ Leave a comment below telling me what your favourite spa treatment is on the Meridian Spa Menu (+ 5 entries) AND where you are situated in South Africa. 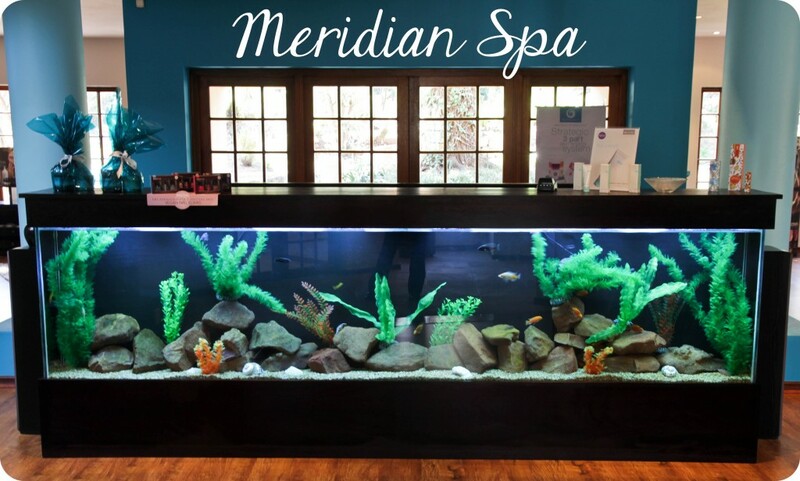 ♥ Follow Meridian Spa on Twitter here (+ 5 entries). ♥ Follow Meridian Spa on Facebook here (+ 5 entries). ♥ Tweet about the Giveaway (+ 5 entries): “@PinkPeoniesBlog & @MeridianSpa_ZA are giving away 2 amazing prizes & I would love to win! #PinkPeoniesBlogGiveaway http://bit.ly/1sN1bkU��� You can do this every day for extra entries. ♥ Share this blog post with your friends on Facebook by linking back to my blog / this blog post (+ 5 entries). You can do this every day for extra entries. ♥ And for 10 extra entries, you can either share on Facebook or tweet or about your favourite spa treatment on the Meridian Spa menu (remember to tag both Pink Peonies Blog and Meridian Spa in your tweet or Facebook share). 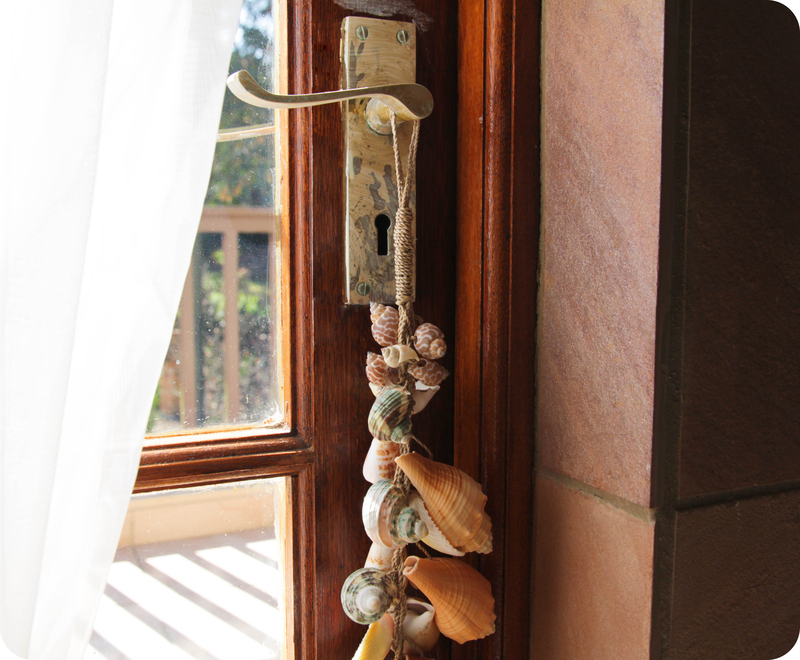 A winner will be chosen on the 25th of August 2014 & I will announce the winner on Twitter, Facebook and this blog post. Previous Post Beauty & Lifestyle Haul – Dermalogica, Cotton On, Jo Malone, Clarins & More! My favourite treatment would have to be the foot ritual. Sandal season is around the corner gotta get the feet ready. I haven’t had a facial since I was 17 (bad experience) but your amazing description of the facial at Meridian Spa sounds so incredible that I feel a serious NEED to go try it out!! This whole spa experience sounds like heaven on earth! I have never experienced a facial or massage so those would be my 2 fave things!! I would love to experience the Meridian Spa Indian Head Massage. It would have to be the hot stone massage, I am 28 now, and went for my very first massage about a month ago thanks to my amazing boyfriend. I have never been for a facial or any other type of massage though, so going on what I know, its the Hot stone for sure. My favourite would be the Dew Drop Bath Ritual- just the name has me feeling all kinds of calm and pampered! Also love the fact that I have a choice of bath salts, catered to my specific needs. The centre yourself body ritual sounds amazing! The Dew Drop Bath sounds heavenly! Any massage and a pedi and mani! I love a soothing bath and the Dew Drop Bath ritual sounds absolutely heavenly! swedish massage sounds amazing! unfortunately situated in cape town though! Meridian Spa Indian Head Massage. The Dew drop bath ritual sounds like an exciting experience!, And nothing beats a hot stone massage. I’m situated in Johannesburg. Full body exfoliation sounds amazing for a post winter treatment to get summer ready! Any form of a massage would be incredible. I’m a student in Matric in Johannesburg, and so a spa treatment during this stressful time would be MUCH appreciated! I follow Meridian Spa on Twitter. I’m in Vanderbijlpark. I think the Meridian Spa Indian Head Massage would be rather nice to experience! I love the Swedish Full Body Massage. Dew Drop Bath ritual and a Dermalogica facial would make the next 6 months bearable 🙂 ***Awesome giveaway! I’d LOVE to get a Swedish Full Body Massage! The spa sounds amazing and it would be incredible to experience it. I would love to experience the spalicious pedicure, my Ironman training means I have sore feet almost every day so this pampering would be just what I need! Full body massage is my favourite. This spa sounds heavenly! PS: oops forgot to say, from Pretoria! I’m in Pmb. I’d love a Dew Drop bath! Quiet relaxing time in the bath, any mom’s dream come true. The hot stone massage sounds amazeballs and I live in Paulshof, so its super close. What a wonderful give-away! Haven’t had a facial or massage for a long time and would love to enjoy the Meridian experience. The place sounds so great! Can’t stop thinking about that facial now – bliss! And a deep tissue massage – reminds me of Thailand. A Swedish Full Body Massage would be awesome right now. I would love to try the Dermologica Facial. I am based in Gauteng. I wouldn’t like to win this for myself but rather for a friend who has been going through a tough time lately and I would love to spoil her with this amazing spa day. I personally LOVE Full body swedish and aroma-therapy massages. And I am situated in Johannesburg.